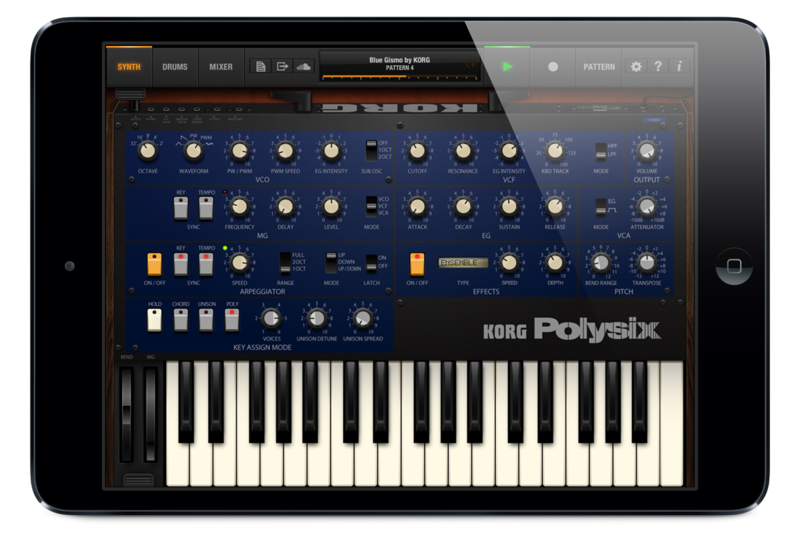 The new "KORG iPolysix" polyphonic synth studio for the iPad mini! 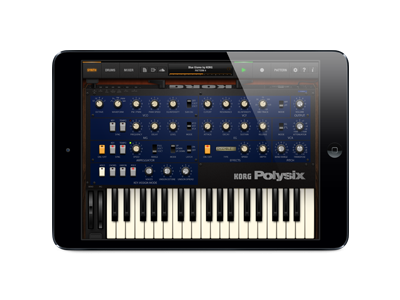 iPolysix is an analog polyphonic synthesizer that&apos;s been carefully designed to take full advantage of the 7.9-inch display of the new iPad mini as well as the iPad. 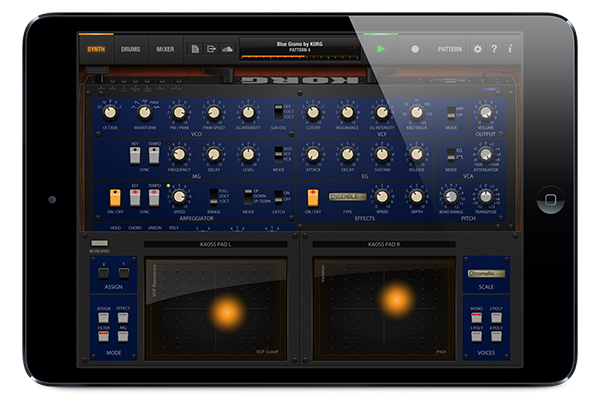 Bringing together a sequencer, drum machine, and even a mixer, it transforms your iPad or iPad mini into the ultimate analog synth studio. 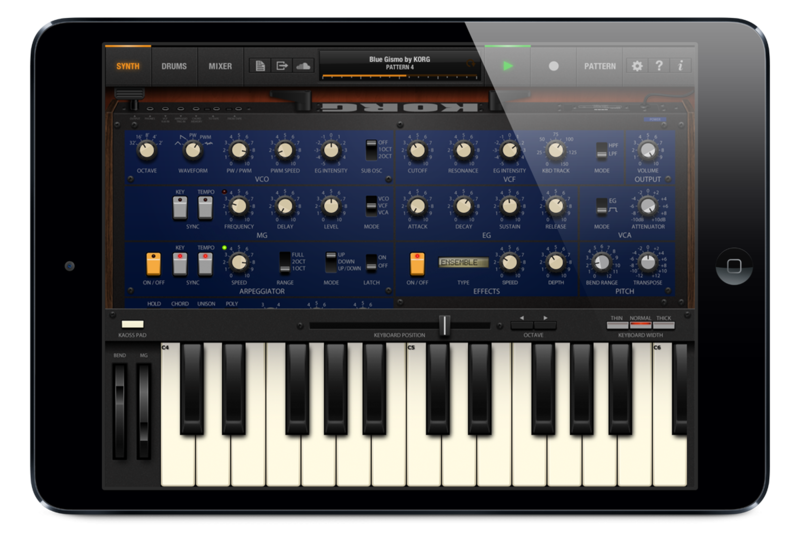 Pack an amazing set of early-&apos;80s analog equipment into your iPad, and time-travel back to the dawn of polyphonic synthesizers! Korg&apos;s Polysix, a six-voice analog polyphonic synthesizer, went on sale in 1981. While a popular synthesizer of that time was able to produce only five notes simultaneously, the Polysix had six-note polyphony, and its name was an expression of its designers&apos; pride. Today, functionality such as sound memories and built-in effects such as phase/chorus/ensemble are taken for granted, but at the time they were cutting-edge features that made the Polysix an instant best-seller around the world. 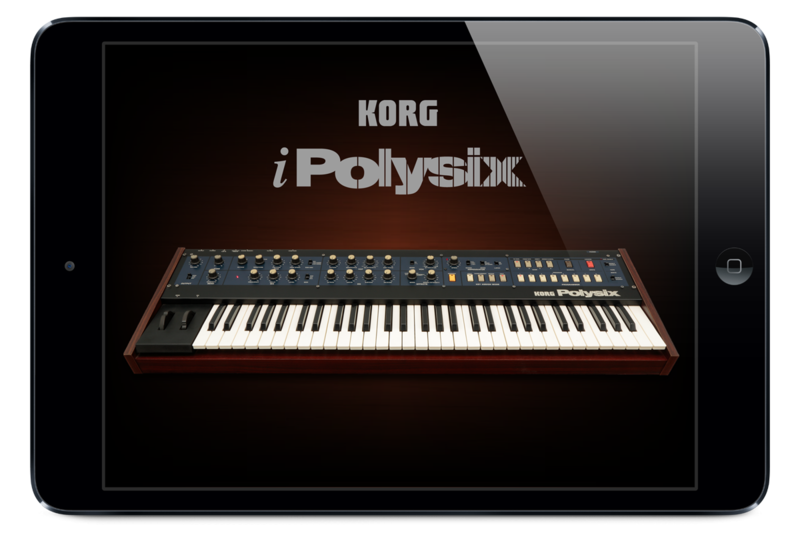 iPolysix uses Korg&apos;s proprietary "CMT" (Component Modeling Technology) to simulate the actual electronic circuits of the original unit, perfectly reproducing the original Polysix including its distinctively deep and rich pad sounds. Not content to rest with providing a faithful replication, iPolysix has also been extended with music production functionality and painstakingly tuned to be the most powerful Polysix in history. Its highly refined synthesis structure also makes this an ideal instrument for those who want to start learning about synthesizers. Polyseq is a polyphonic step sequencer that provides up to 64 steps, newly developed in order to take full advantage of the Polysix&apos;s capabilities. It&apos;s full of unique ideas, including sequence mode functionality from the SQ-10 analog sequencer that lets you play a sequence backward, or play back only the odd-numbered or even-numbered steps. Polyseq provides a different operating feel than a conventional piano-roll sequencer or even a step sequencer; it&apos;s a new yet somehow familiar experience, as if you were retracing the evolution of electronic musical instruments. Don&apos;t miss the opportunity to try out this perfect match; the Polysix＋Polyseq. iPolysix has been created as a professional music production tool that continues along the path created by the iMS-20. In addition to two Polysix units, it provides a six-part drum machine that plays Polysix samples, and an analog mixer that&apos;s reminiscent of the KMX-8 mixer at the time the Polysix went on sale. 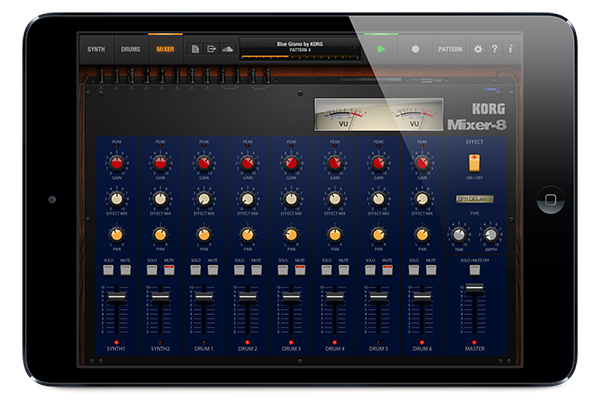 Since the mixer also provides powerful effects, you&apos;ll have everything you need to produce great sounding music. This system gives you a highly polished workflow; use your virtual gear to create up to 32 patterns, and then make a complete song simply by placing these patterns in a desired order. Surrounded by analog equipment, you&apos;ll imagine that you&apos;ve time-traveled back to the early &apos;80s; allow yourself to be absorbed in synthesis, and start creating new tracks that can be made only using iPolysix. The large multi-touch display of the iPad shows two Kaoss Pads which you can control using both hands, moving your fingers on the pads to perform music. You can freely generate phrases simply by rubbing a finger on the Kaoss Pad, making it easy for anyone to play an analog synth. This enables professional music production and creative performance even for those who have no musical knowledge or have never played an instrument before. These Kaoss Pads have been customized for iPolysix to allow not only single-note performance, but also chordal playing. 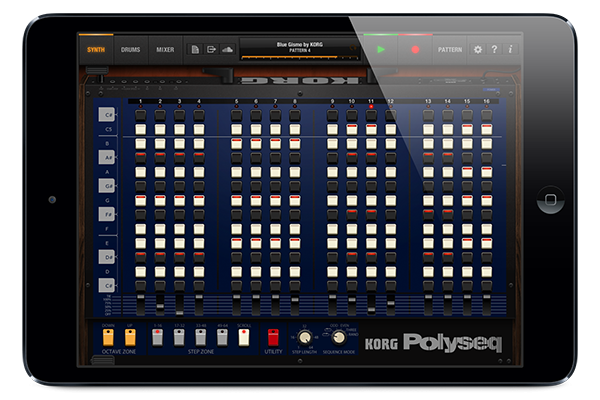 You&apos;ll be able to play the inimitable polyphonic sounds of the Polysix with just one finger; a new experience made possible only by a combination of new and old technology, the Polysix + Kaoss Pad. 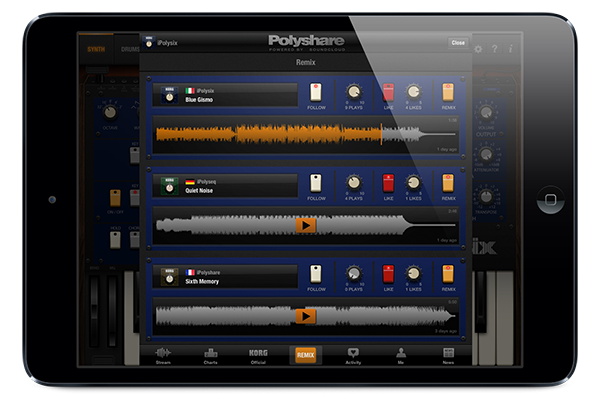 Polyshare is a function for iPolysix users to share their songs. It&apos;s based on SoundCloud, the song sharing service favored by music creators. You can make your song available to iPolysix users around the world simply by uploading the song directly from the app. iPolysix users in countries you&apos;ve never heard of can listen to - and rate - the songs you create. If you&apos;re not comfortable creating a new song, try collaborating on a remix. You can download remixable tracks that other users have uploaded, and try your hand at them. You can also upload unfinished songs for other users to remix. It&apos;s easy to enjoy remixing and collaboration with users around the world. *You&apos;ll need a SoundCloud account in order to use SoundCloud. A variety of account types are available, ranging from free to paid memberships. For details, please refer to the SoundCloud website. 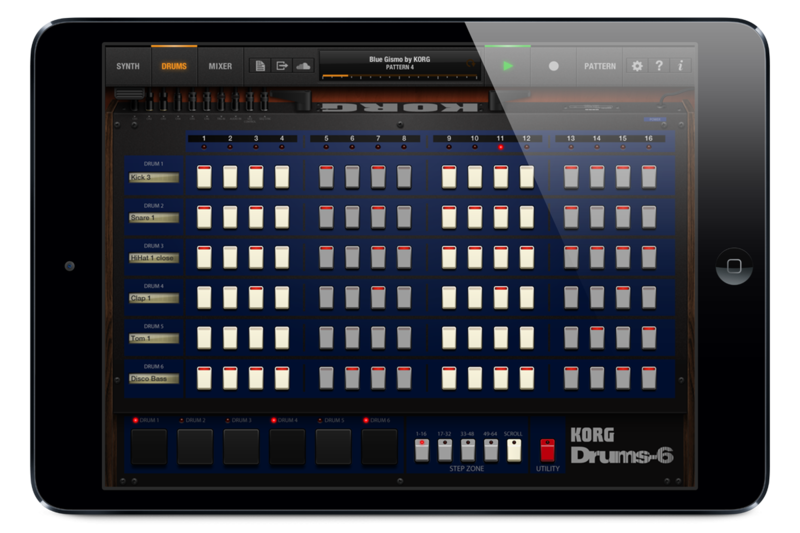 Register here to get KORG App News Letter.